Eugeni Quitllet has created Dream Tools for Lexon, an ethereal and vibrant collection comprising four office items: a pen and pen holder, a desktop organiser for smartphones, business cards and pencils, an adhesive tape dispenser and an alarm. 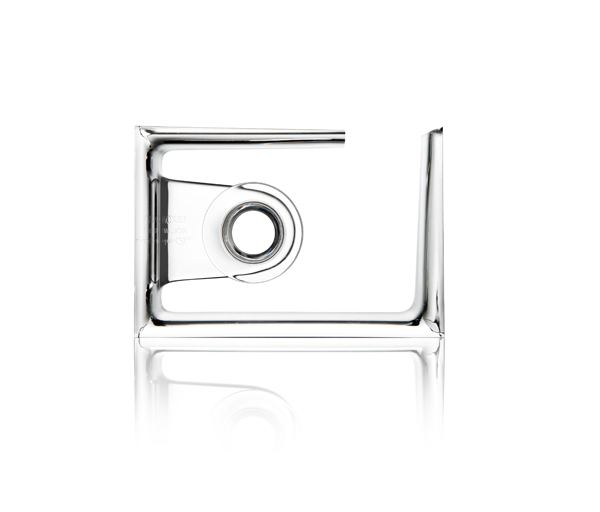 Fluid and weightless, Dream Tools suspends functions magnifying them to their best advantage. Placed in a frame, one of the designer’s signature styles (Light Air lamp, Shine vases, O Clock…), the range comprises small functional reliefs, mineral creatures frolicking in PMMA aquariums. ‘These objects are microarchitectures, small crystalline, colourful and transparent landscapes to cast an eye upon, then dream, work and think more clearly,’ summarises the Catalan designer whose creative energy, fluid and irresistible design seeks to surprise the daily users and spectators alike. ‘I want to see happy people; design should be unprecedented, eye-catching and immediately create an emotion. Above all for objects like Dream Tools that are to be used, but that are also to be given, truly small gifts, bought to give pleasure to others. It is a great token of confidence. 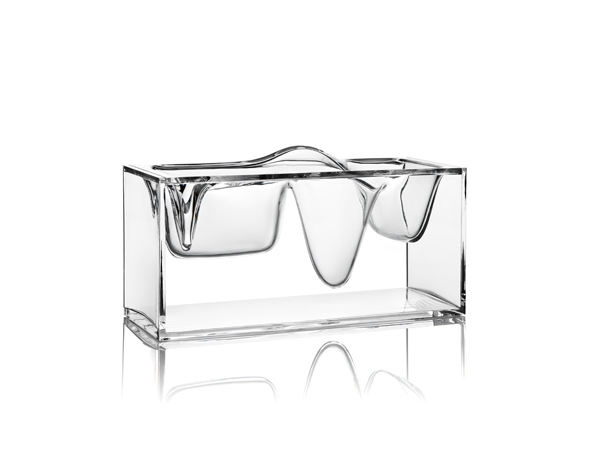 This compels us to be innovative whilst remaining as free as a bird.’ Intuitive, free from any material resistance and playful, Eugeni Quitllet’s design echoes a joyful shoal of dolphins whose breath-taking vivacity flies over everyday reality further, day after day. Peter Pen. 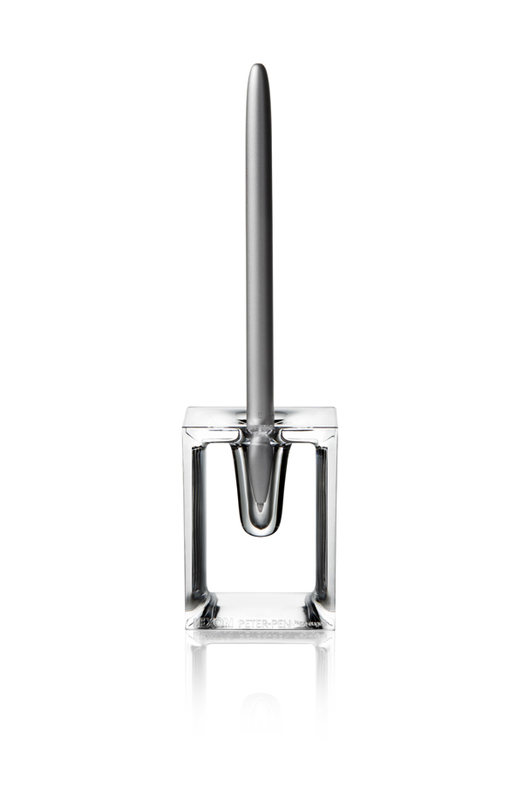 Magical and capable of vanishing in a second, Peter Pen hovers in its crystalline base to help inspire its owner. An ideal pen for writing greetings, dreams optional. Colours: smoky grey, blue, green, pink, crystal. Roll Air. Transparent adhesive tape suspended in an unobtrusive frame. Roll Air reduces the function to the bare minimum. The stand for a product that sticks (to) reality is as light as a puff of smoke. Liquid Station. PMMA desktop organiser for smartphones, pens and business cards. Liquid station proposes a completely new typology to organise desks. A domestic landscape that looks like a mineral and fluid relief, a horizon to focus upon and harmoniously arrange the accessories that gravitate around us. Naturally fitting to store and charge smartphones, with two compartments for pens and business cards. Dream Time. A dream to wake up to! Dream Time is as friendly as it is effective. A little character that endearingly embodies time with its easily located, protruding external buttons to enable intuitive setting. Easily navigated to set your alarm with a smile before you sleep. LCD digital alarm clock. Rotary time, alarm and volume controls with two buttons/lateral thumbwheels. 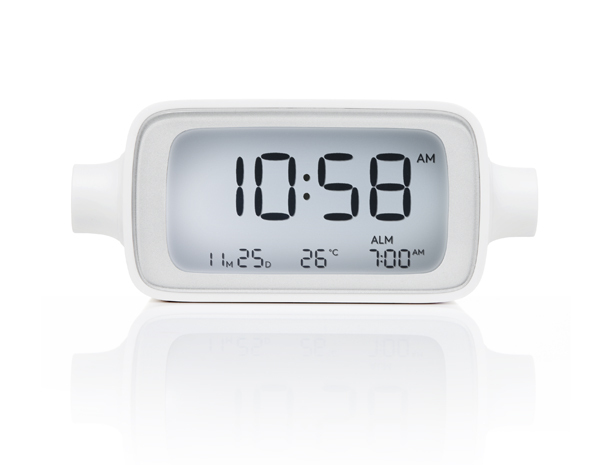 Functions: time, date, alarm, temperature. Snooze mode with touch sensitive key. Colours: black, black and orange, grey and blue, grey and yellow, white and green, white and grey. 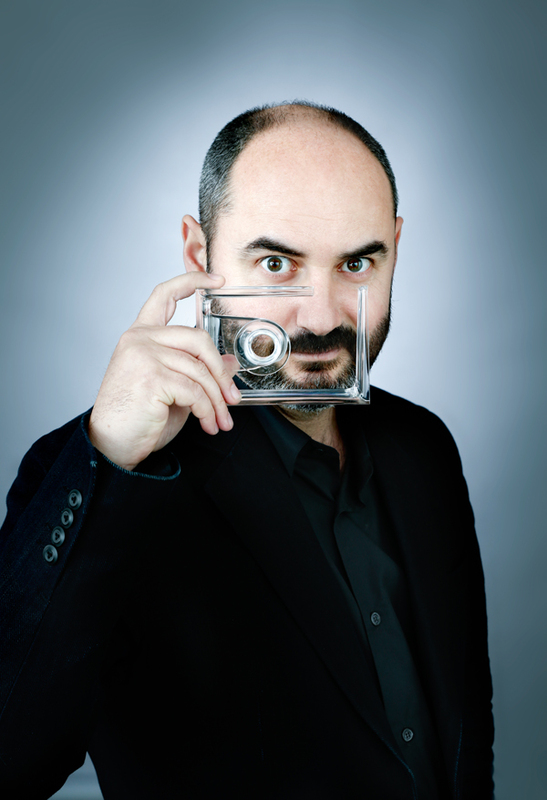 The Catalan designer Eugeni Quitllet was born on 17th April 1972. He graduated from La Llotja Art School in Barcelona. He readily describes himself as a ‘Disoñador,’ a Spanish contraction of designer and dreamer. His invented future is gravity-free, with incredible aesthetics summarised in a combination of digital precision and sinuous liquid. This Ibiza-born industrial dreamer first witnessed a rural stretch of the beach that became an informal hub for ultra-modern electronic music, before growing up in Barcelona, a place of architectural divide where Gaudi’s organic outbursts fraternise with the Pavilion designed by Mies van der Rohe, a rationalist marmoreal jewel installed in Catalonia before taking root in the United States. Eugeni Quitllet lives and works in Barcelona. Remain up-to-date with our ever-changing and paradoxical period by keeping your eye on this pioneer. Eugeni creates bestselling objects synthesizing drawing and sculpture, mastering fullness and void to reveal elegant silhouettes hidden in the material. His creative vocabulary surpasses the simple relationship between function and style introducing new objects to the contemporary design scene, always with communicative enthusiasm: Masters, a commercial hit for Kartell, together with Philippe Starck, combines the 3 contours of legendary seats by Eames, Saarineen and Jacobsen. The Tabu chair is an explosion of life for Alias, one of the events at the Milan Fair 2014 like a blossoming that will develop into a seat synthesis of nature, the Dream Tool collection for Lexon invents small liquid landscapes where the functions are suspended in a frame, the designer’s signature style repeated in several of his projects: the Shine vases, the Light Air lamp, the 0’Clock clock for Kartell and of course the O Ring watch, literally a hole in time and bestseller for the Fossil brand modernising watchmaking codes. The designer from Ibiza launched his first outdoor collection for Vondom in 2014 with organic and evolving seats that can play music, objects diverted from their primary function akin to picking up a shell and listening to the sea. As for the VK-1 headphones for Adele, another bestseller now a reference on the music market, Eugeni Quitllet has designed a true blueprint for headphones, making the best use of the manufacturing process. 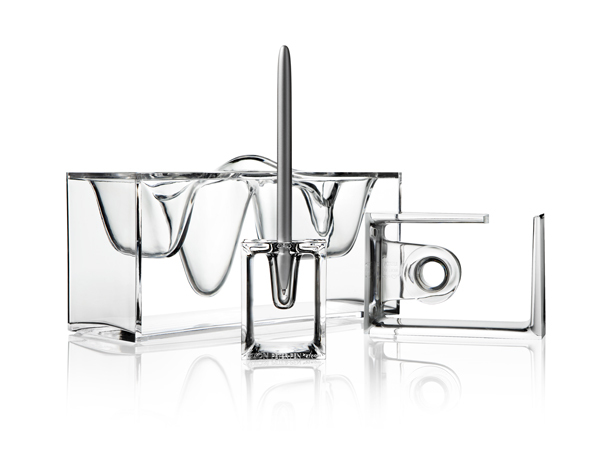 Adept at working at polar opposites, he conceived a collection of archetypal and luxurious cutlery for Christofle, as well as a disposable plastic service for IPI, a manufacturer for whom he had already designed the Air France trays in 2014. Nothing unusual for someone who says, ‘As soon as we try to refine a form, we end up with a knife, whether it concerns a design for a boat or a skyscraper.’ Continuing to produce the most direct and cutting-edge revelation of form as possible. 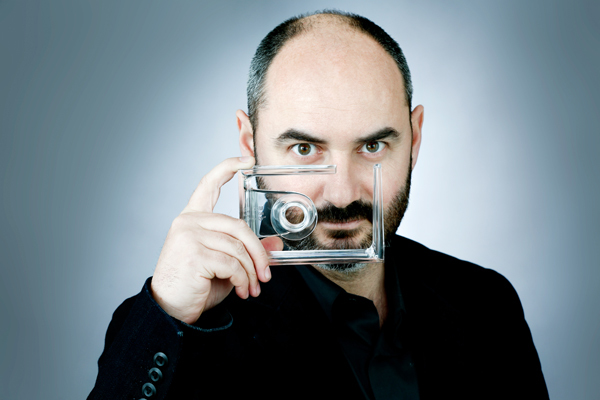 From object to space, Eugeni Quitllet is a design maestro with the vision to rethink our surroundings with ever-evolving innovation.